The Pipeline and Hazardous Materials Safety Administration (PHMSA) announced on December 1, 2017 a Notice of Calendar Year 2018 Minimum Annual Percentage Rate for Random Drug Testing. 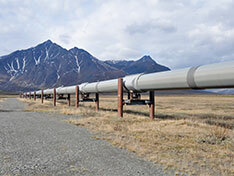 Effective January 1, 2018 operators of gas, hazardous liquid, and carbon dioxide pipelines and operators of liquefied natural gas facilities are required to increase the minimum annual random drug testing rate from 25% to 50% in accordance to the rules set in 49 CFR 199.105(c)(1) relating to the PHMSA minimum annual random drug testing rate. While the minimum annual random drug testing rate was 25 percent of all covered employees for calendar year 2017, paragraph 49 CFR 199.105(c)(4) requires the Administrator to raise the minimum annual random drug testing rate from 25 percent to 50 percent of all covered employees when the data obtained from the Management Information System (MIS) reports required by § 199.119(a) indicate the positive test rate is equal to or greater than 1 percent. In calendar year 2016, the random drug test positive rate was greater than 1 percent. Therefore, the PHMSA minimum annual random drug testing rate shall be 50 percent of all covered employees for calendar year 2018.